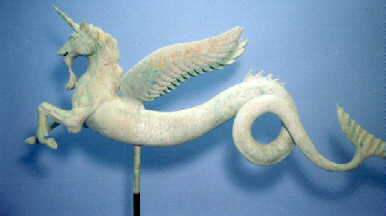 Description: Sea Unicorn weathervane made out of resin. This item comes with a wood base. Resin &steel.